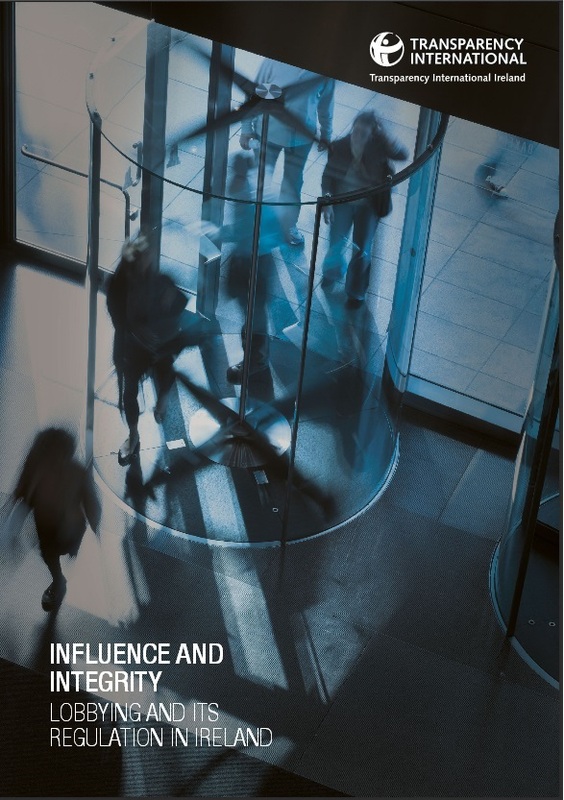 The Influence and Integrity study was produced as part of the Lifting the Lid on Lobbying project, and funded by the European Union's Prevention of and Fight Against Crime Programme. The report found that a vibrant range of groups and individuals are engaged in lobbying in Ireland, offering valuable insights, expertise and feedback that inform and enrich public decision-making processes. However, significant lobbying efforts are hidden from public scrutiny and include ‘political insiders’ using their connections to access and seek to influence decision-makers. TI Ireland found that efforts to safeguard the public interest in decision-making were piecemeal and ineffective. Laws and guidelines which set ethical behavioural standards for public officials were unduly complex and inadequate, and sanctions for breaches of these rules did not act as a sufficient deterrent, while oversight structures were also weak. In addition, TI found that there was not enough emphasis on ethics training for public officials and elected representatives. The study also noted the role the planned ‘register of lobbying activities’ would play in increasing transparency. TI Ireland concluded that the register as planned would not capture as much information as it should. There were no plans to publish submissions made by lobbyists or compel lobbyists to share financial information on sources of income from clients or donors. Lobbyists should be compelled to share policy submissions and any documents that they have shared with public officials aimed at influencing legislation or government decisions. These should be published on the new register. Such a measure would help inform debate on public policy. Financial data on sources of client or donor income should also be published on the register, allowing the public to better follow the money trail in politics. Lobbyists should disclose any activities undertaken on behalf of political parties, elected officials or election candidates. This would include any voluntary support a lobbyist has given such as public/media relations advice, fundraising, strategic advice and research to parties and candidates. The Government should introduce mandatory two year ‘cooling-off’ periods for all senior public servants at local and national level, including special advisers and Ministers. This would involve the establishment of an independent oversight body that would decide on whether a conflict of interest arises from the appointment of a former public official to a paid position in the private sector. Penalties including fines and publication of the decision would be imposed on any former official who failed to comply with the body’s ruling. A statutory Code of Conduct should be introduced and training offered on the Code to guide lobbyists and public officials on acceptable behaviour. SIPO should be given a legal responsibility to conduct inspections and audits of online returns made by lobbyists under the planned lobbying law and to name and shame those found to have breached it. The Government should make it a criminal offence for public officials and elected representatives to fail to declare an interest under the Ethics Acts or to make false or misleading interest disclosures.